Some days ago I bought some pears on the market. This is one of my favourite fruit. 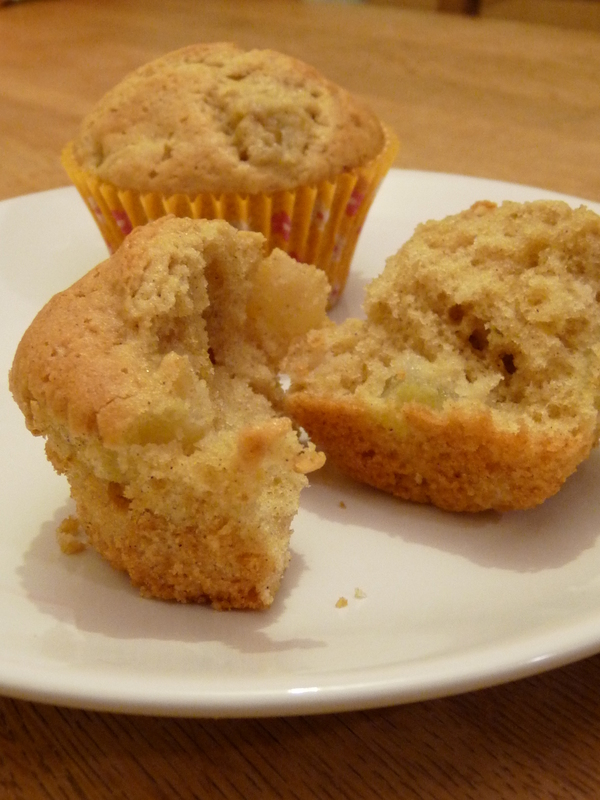 As we were going to a hiking trip last weekend, I decided to make muffins with these pears. Muffins are a perfect treat for a picnic. In a bowl, mix the sugar, the flour, the baking powder and the cinnamon. Add the eggs, the milk while stiring until the batter is smooth. Once everything is well combined, add the pears that you will have previously cut in small cubes.